The eight members of the B-vitamin family all play vital roles in helping your body function and maintain optima levels of health and wellness. While they can be found separately in a number of foods, they can also be found in supplement form for daily use. 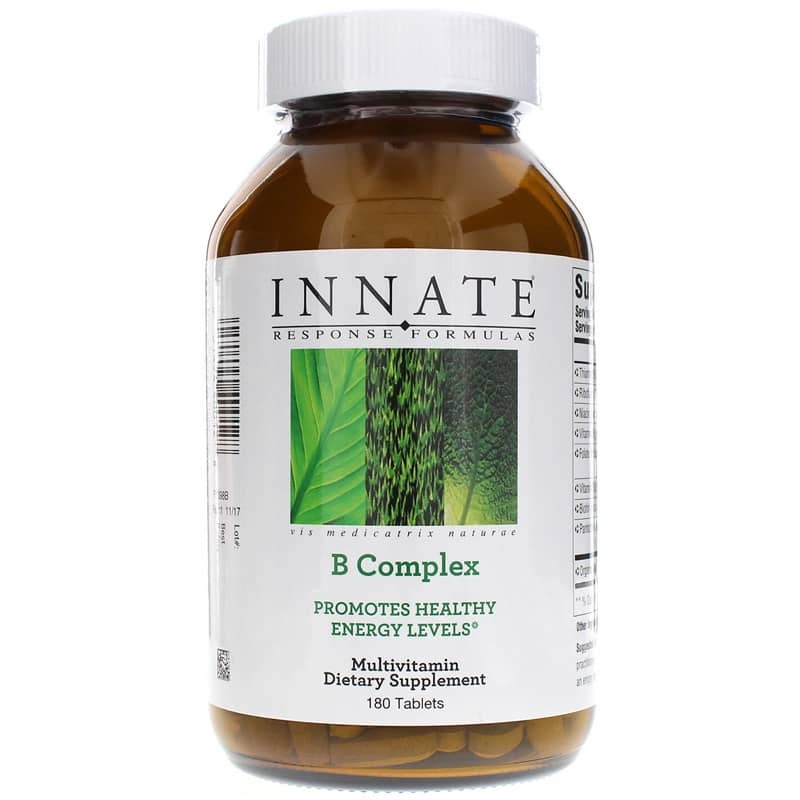 B Complex from Innate Response Formulas is a whole-food dietary supplement that delivers a balanced ratio of FoodState B vitamins to help maintain optimal overall health. FoodState nutrients are made from fresh, local foods. Concentrated with a special nutrient preservation process, they are the most complete whole food nutrients on the market today. 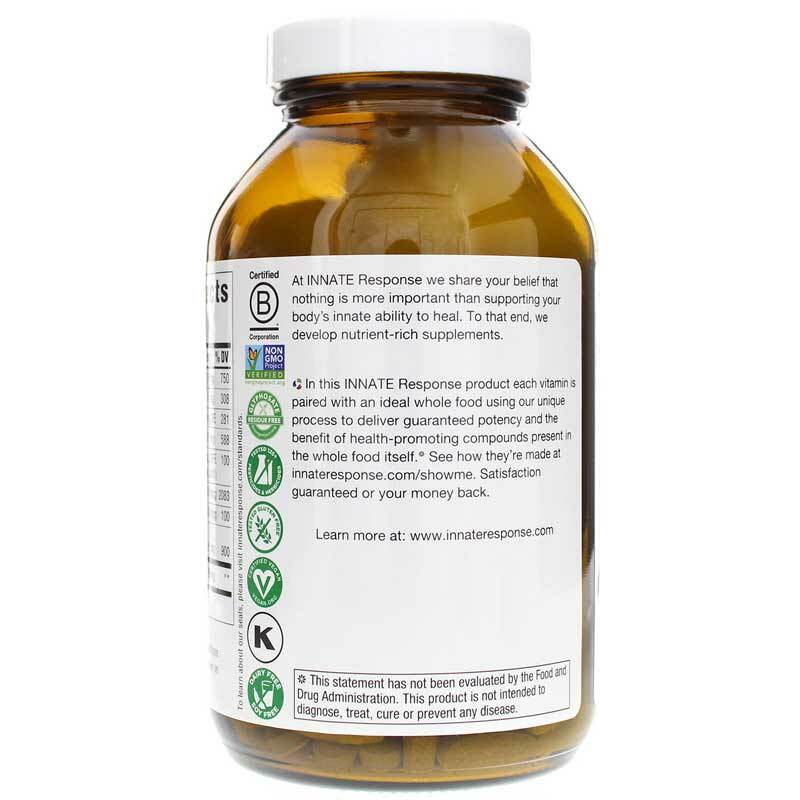 Innate Response Formulas B Complex is made without the use of gluten, dairy, soy, magnesium stearate, herbicides, or pesticides. Just one tablet every day can help keep you on the natural pathway toward optimal overall health and an increased sense of wellness. Order yours now! Contains NO: GMOs, gluten, dairy, soy, magnesium stearate, herbicides or pesticides. Certified Vegan and Kosher. 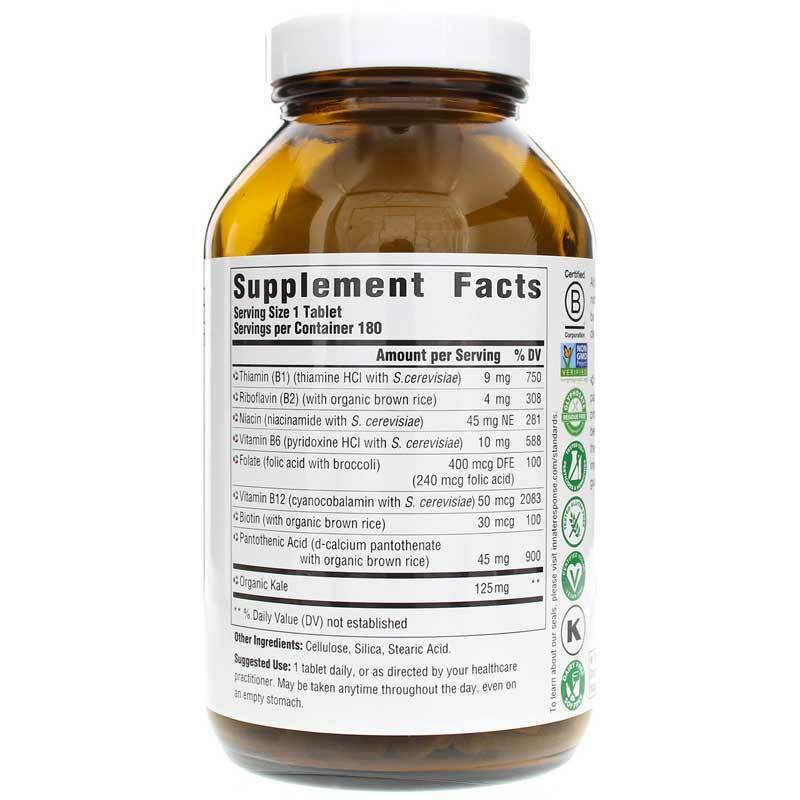 Adults: 1 tablet daily or as recommended by a healthcare professional. May be taken anytime throughout the day, even on an empty stomach.